ELGIN, Ill. (WLS) -- A 28-year-old St. Charles man was arrested Monday after he allegedly left two dogs in his car in suburban Elgin as temperatures reached into the 90s, resulting in one of the dogs being euthanized, police said. Elgin police were called to the 300-block of South McLean Boulevard in Elgin at about 4 p.m. Monday in response to a report of a dog inside an unattended parked vehicle, officials said. Officers located the owner - Jaime Reyes-Velasco - who then unlocked the car. Officers found one dog lying "lying motionless on the floorboard," police said. Animal Control officials came to the scene and said that both dogs displayed signs of heat stroke and immediately attempted to cool them down. The dogs were taken to Golf Rose Animal Hospital in Schaumburg for examination. One of the dogs was euthanized due to injuries resulting from exposure to extreme heat, police officials said. The other dog is still hospitalized. 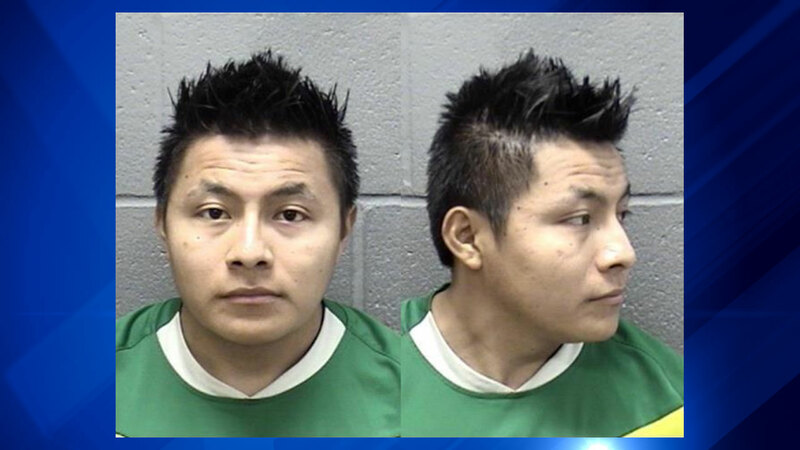 Reyes-Velasco was charged with two counts of cruelty to animals, two counts of violating an owner's duties and two counts of confining an animal in a motor vehicle - all misdemeanors. His next court date will be 9 a.m. Aug. 14 at Elgin Branch Court.